"Looking for something new?" That's how Rich Darby, Trigard Chief Operating Officer, approached the many NFDA/CANA Convention attendees who entered the Trigard booth. And for good reason. According to NFDA, 83 percent of attendees want to see what's new in our industry. 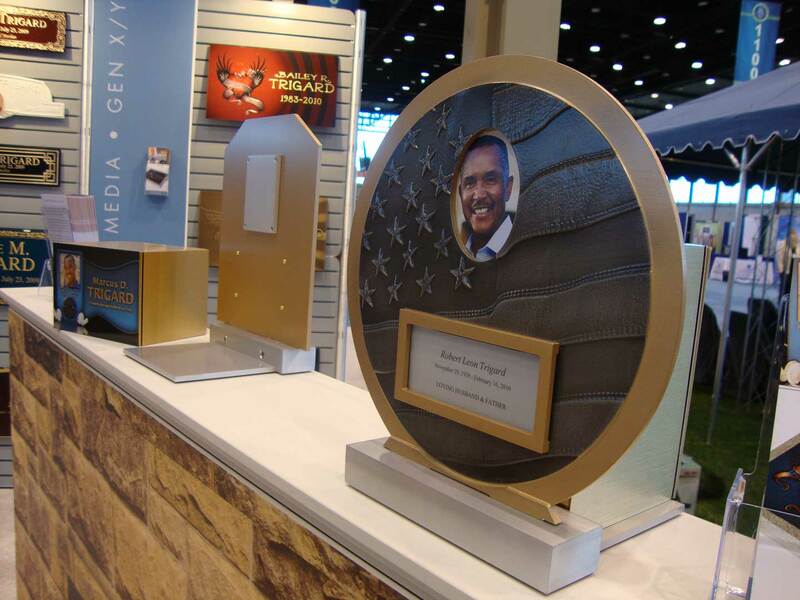 At this year's convention, Trigard Memorials unveiled the new Façade™ personal memorial system. Façade fills a need in the funeral industry for families seeking immediate, but lasting tributes. "Once a funeral home has our Façade system in place, they have the ability to produce beautiful custom memorials without having to wait for personalization," Darby said. The Façade also adds value to cremation ceremonies. "This product not only provides a focal point in a ceremony, but can be taken home and displayed as a lasting tribute," added Darby. To learn more about Façade visit www.trigardmemorials.com or call 800.798.4900.